Another layout to share. This one is another aquarium layout. I made this using mainly papers from the beach house collection (I've had it just sitting around for almost over a year) from the paper studio, you can get it from hobby lobby.. super cute papers in there! Anyway... 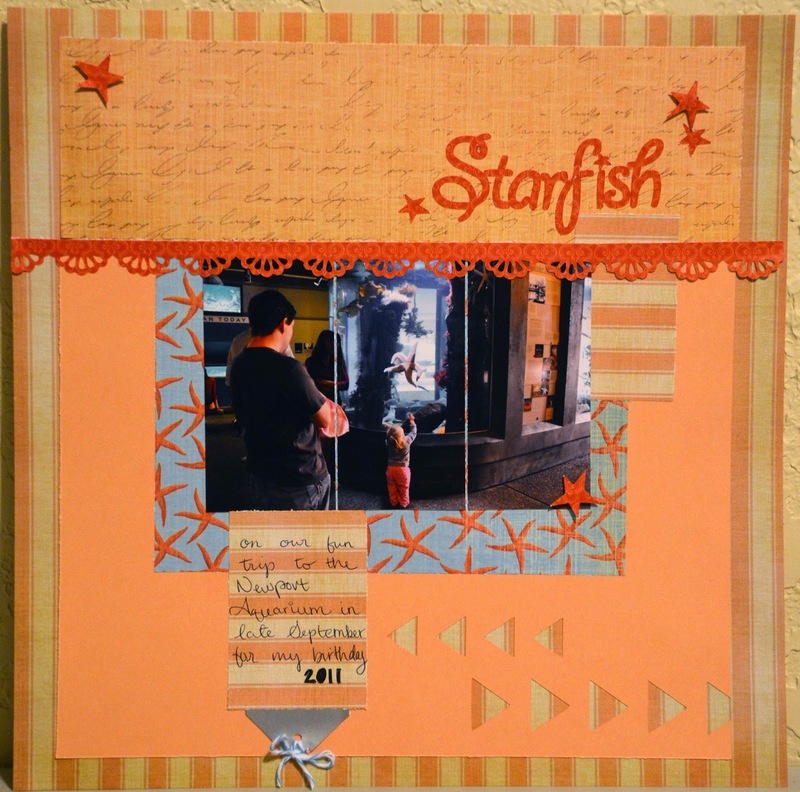 I used my silhouette cameo and design studio to make the title, stars and triangles on the bottom. 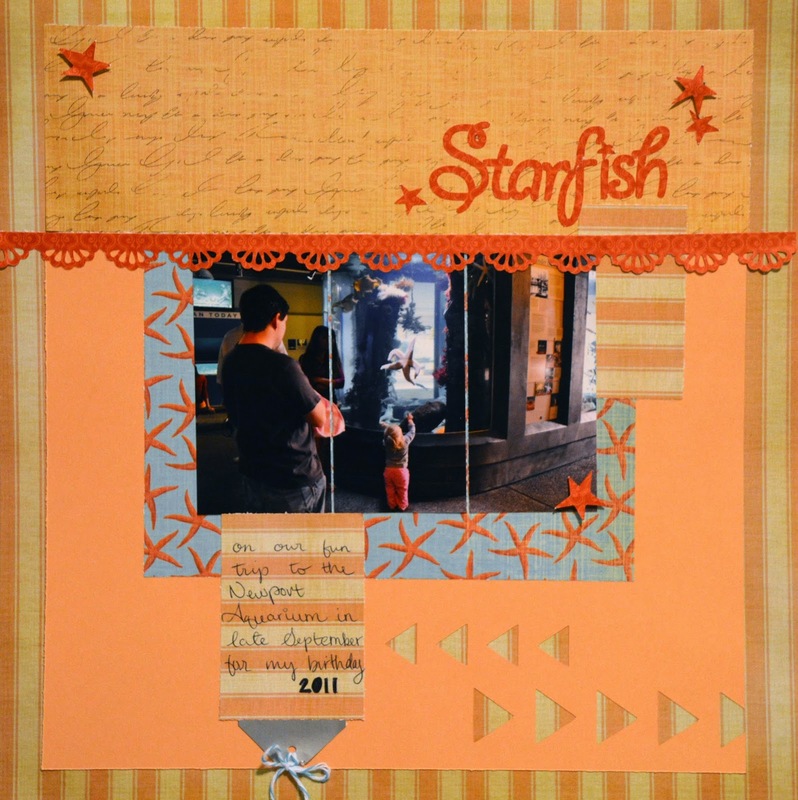 I used pop dots for a few of the stars and adhered everything else with Zig glue and ATG tape. I used a punch for the line running across the top-middle and bakers twine on the silver tag. I cut the picture in three 2 inch increments to fit the sketch better. The red-ish colored paper (which is actually more orange) has been around for a couple years just sitting in my stash. lol! This is so funny! Thank you for joining us at The Studio Challenges! So cute & colorful page! Thank you for playing along with us at The Studio Challenges!! I just love the way your bitty triangles provide a window to your base paper! Great design! Thanks again for playing along with us in The Studio! Ribbons Unlimited Inc. DT Member! !